Discover the Best Things to do in Roatan! Honduras welcomes you to the most precious jewel in the Caribbean, also considered "THE" best destination for adventure and Roatan Excursions will be your host. Let us guide you through the most interesting sites and amazing places on our Island, incuding West Bay Beach - the best beach in the Honduran Caribbean. Here you can enjoy refreshing drinks and the most varied cuisine Day Pass in Roatan has to offer. 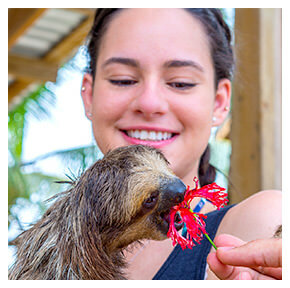 For all of you adventure seekers looking for the best shore excursions in Roatan, we offer a different world with island activities for cruise ship passengers; the best tours in canopy zip-line, snorkeling, scuba diving, and much more. Get your adrenaline pumping on a zip-line tour or discover the world’s second largest barrier reef with our incredible snorkeling tours & scuba diving experiences. 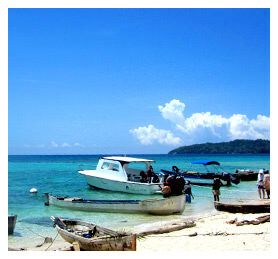 We are excited to offer you the most complete catalogue of tours in Roatan and things to do on West Bay Beach. Create your own Roatan tour packages, with amazing adventures in the Honduran Caribbean Sea at your fingertips. When you visit our beautiful island, contact us so we can share this remarkable experience together. Located between the islands of Útila and Guanaja, Roatan is the largest of Honduras' Bay Islands while only being around 48 miles (77 kilometres) long and less than 5 miles (8 km) across at its widest point. Fortunately, given that it is surrounded by translucent waters teaming with marine life — including Roatan Marine Park — and a huge array of fun-filled island activities for the whole family, Roatan caters to all comers, making Roatan Cruise Port an ideal docking point for cruise ships. Our fleet of four Roatan diving boats are ready and waiting to take you to any one of Roatan's fascinating dive spots, each bursting with vibrant aquatic wildlife. 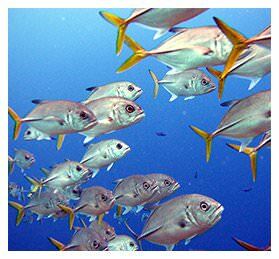 Roatan Excursions dive masters are fully trained and professional to ensure all guests are 100% safe for the entire trip, with each group holding a maximum of eight divers so there is no need to worry about overcrowding.